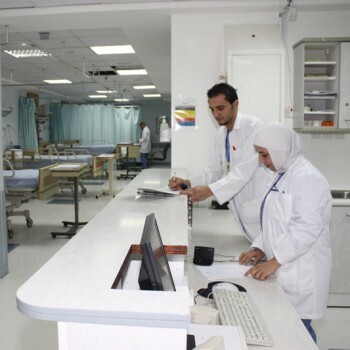 Our mission at Amman Hospital is to provide our patient with comprehensive care; maintain competitive cost with highest ethical standards and quality of care to the patients of Jordan and the region. To transfer Amman Hospital into a role model in providing comprehensive care, through implementing the high standards of patient care with great emphasis on the implementing the international patient safety goals. The kidney unit at KMC houses 12 dialysis machines for acute dialysis done at ICU and chronic dialysis done at our unit. The unit is staffed with full-time dialysis staff nurses and medical supervision, and conducts over 600 sessions a month. 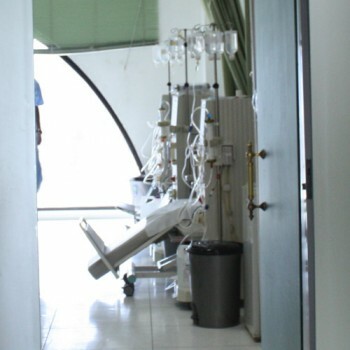 Kidney transplants are performed, as well, regularly at KMC.